Named after the municipality of Stilfs on the Italian/Swiss border, Alfa Romeo’s first-ever SUV – the Stelvio – injects a dash of world-renowned Italian design flair to the large SUV market. Alfa Romeo’s passenger car range is undergoing massive revitalization at present, and the stylish and desirable Stelvio follows in the footsteps of the excellent Giulia. Alfa Romeo bosses expect the new Stelvio to be its biggest seller, but it does have a tough fight on its hands with rivals like the Mercedes-Benz GLC, BMW X3, Volvo XC60, Audi Q5, Jaguar F-Pace and the Porsche Macan to beat. Allowing the Stelvio to stand out from the SUV crowd is Alfa Romeo’s uniquely desirable styling, which is an important ingredient in this highly fashion-conscious market segment. Sometimes, beauty can be only skin deep, but with the Stelvio there is substance to back up the style. 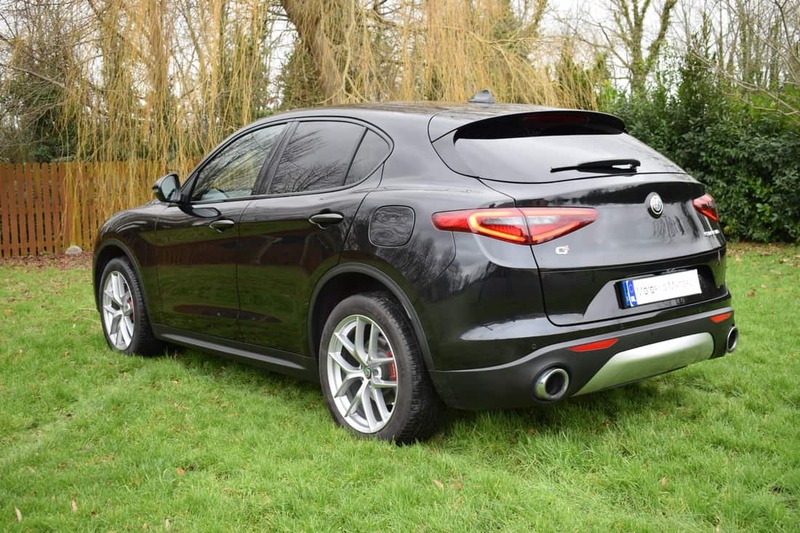 The Stelvio is a true driver’s car thanks to involving handling, excellent driving dynamics, strong engines and excellent agility for such a large SUV. 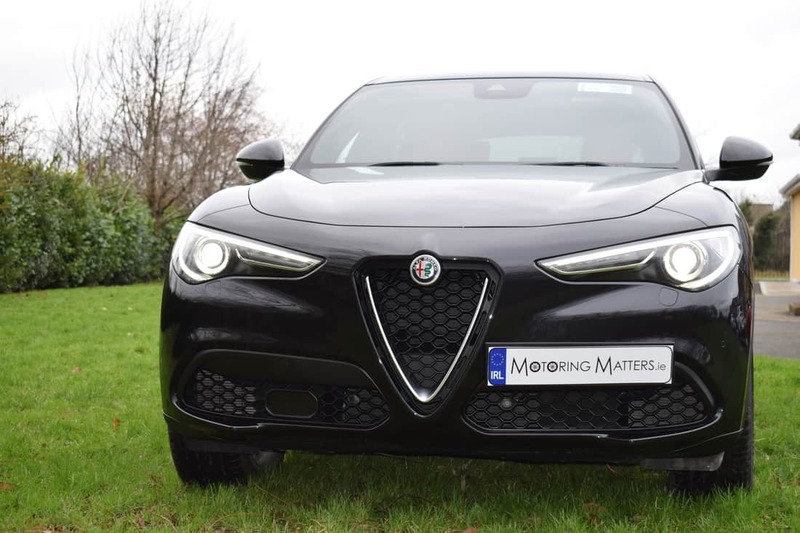 It is clear to see that Alfa Romeo have taken the blue-print from their stunning Giulia saloon car and transferred it to the Stelvio with ultimate success. The new Stelvio comes from a car manufacturer that has a legendary history in producing sports cars, but has been held back over the years by a lack of products and investment. Thanks to parent company FIAT, the last few years have seen massive amounts of money being invested into design, research, engineering and development at Alfa Romeo. As a result, the future of Alfa Romeo has never looked brighter. The complex new ‘Giorgio’ platform is being used for the Giulia and the Stelvio, and a raft of other models will be developed on this platform too. 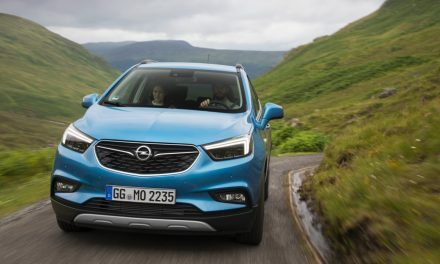 Most of those new products from ‘Giorgio’ are likely to be SUVs because that’s what’s appealing to most European, American and Chinese customers. 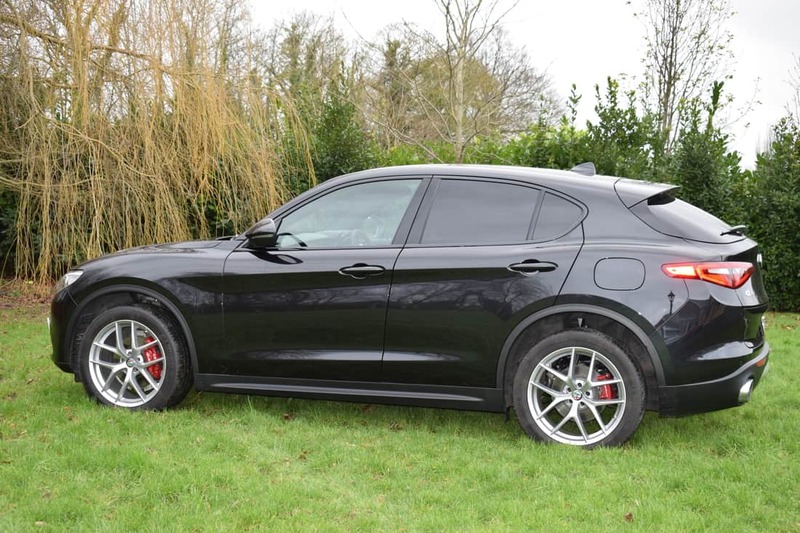 SUVs are selling in big numbers, and luckily for Alfa Romeo, the Stelvio should appeal to brand-loyal fans as well as new customers. 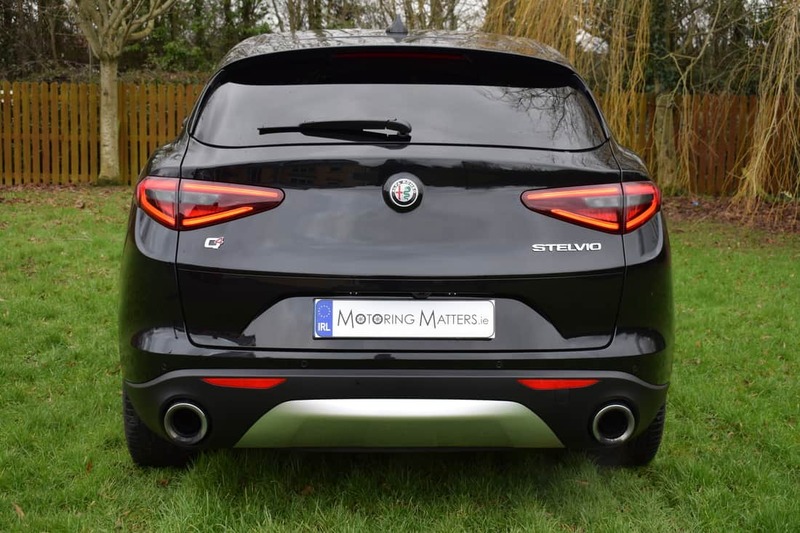 The Stelvio features four trim levels in Ireland. 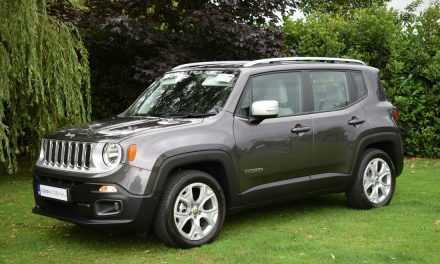 Base cars (2WD only) come with 17-inch alloys, an 8.8-inch rotary-controlled infotainment system, eight speakers, an electric tailgate, auto lights & wipers, autonomous braking, lane departure warning, dual exhaust tailpipes and many more creature comforts. 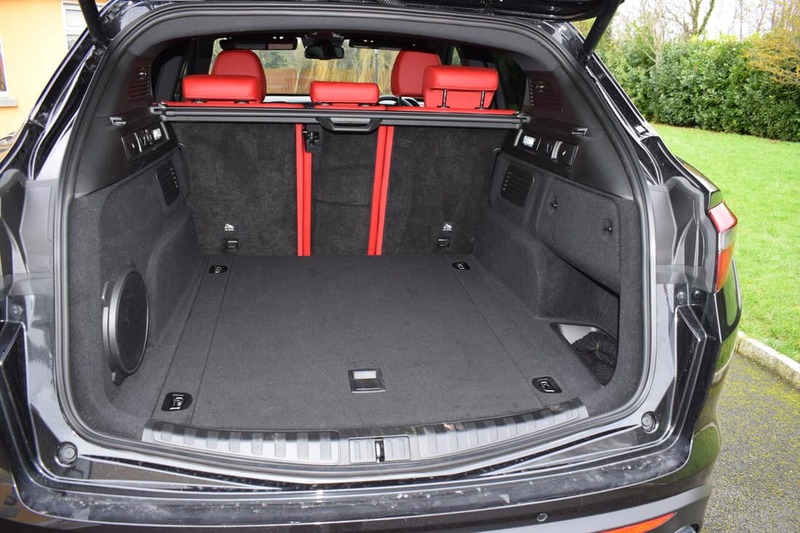 Next up is Super spec (2WD or 4WD) and includes the likes of sat-nav, 18-inch alloys and part leather, plus extra design flourishes inside and out. 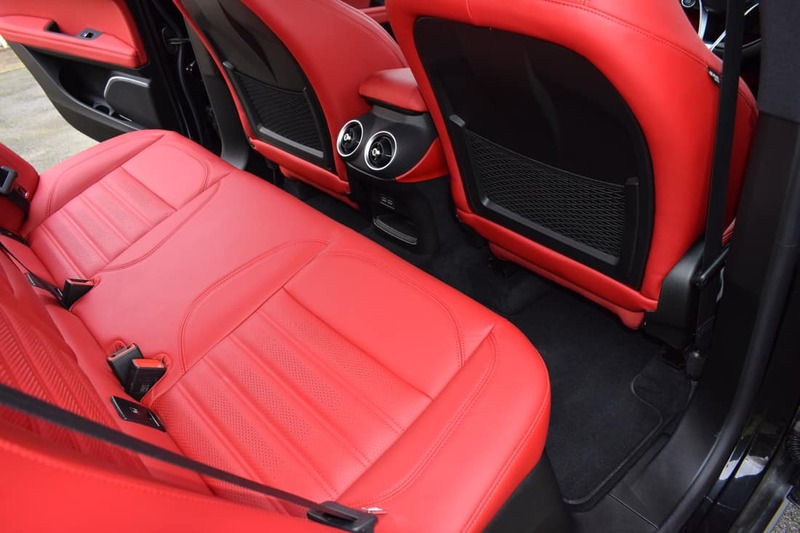 Speciale (4WD only) trim adds 19-inch alloys, extra chrome trim, xenon headlights and aluminium gearshift paddles, with extra electric seat adjustment, too. The flagship model – Milano Editione (4WD only) brings 20-inch wheels, keyless entry, gloss black detailing and a reversing camera. The Stelvio is brand new from the ground up, and Alfa Romeo has made sure it is at the top of its class in terms of handling. Lightness plays a part in this – not only are the suspension and sub-frames made from aluminium but also the bonnet, doors and the tailgate. It weighs just 1,659kg (with fluids) and it has 50:50 weight distribution. The Stelvio is the lightest SUV in its class and, combined with impressive levels of structural rigidity, it leads to excellent handling characteristics. 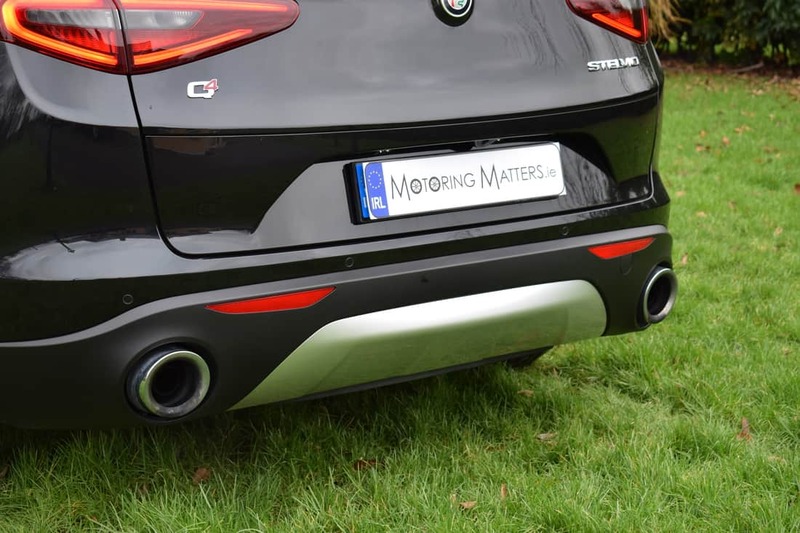 Alfa’s excellent ‘Q4’ all-wheel drive system sends power to the rear wheels almost all of the time on standard roads, and it’s only in situations where a loss of traction is detected that up to 50 per cent of the power can be sent to the front. This means that the Stelvio is huge fun to drive for an SUV, but it also has crisp, sharp steering too. 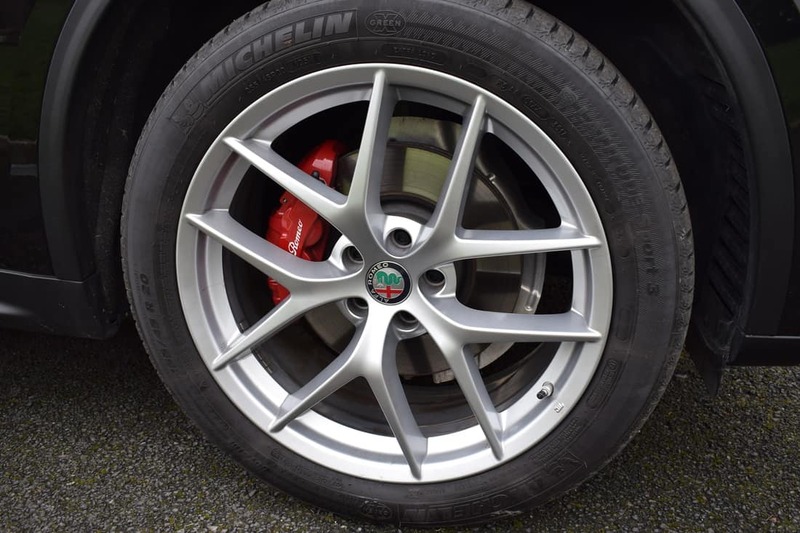 To make the Stelvio handle much like the Giulia, Alfa Romeo’s engineers have given the Stelvio firmer suspension. It means that while you sit 190mm higher than in the Giulia, the Stelvio has the cornering characteristics of the lower-to-the-ground saloon. Petrol and diesel engines are offered in the Stelvio range, while the only gearbox available is a slick-shifting automatic. The petrol range comprises a 2.0-litre, four-cylinder turbocharged unit with either 200bhp or 280bhp. 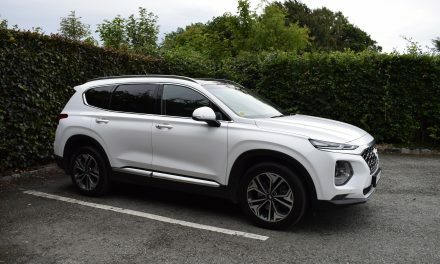 The diesel offering is a 2.2-litre turbo-charged unit with either 180bhp or 210bhp – depending on the specification chosen. 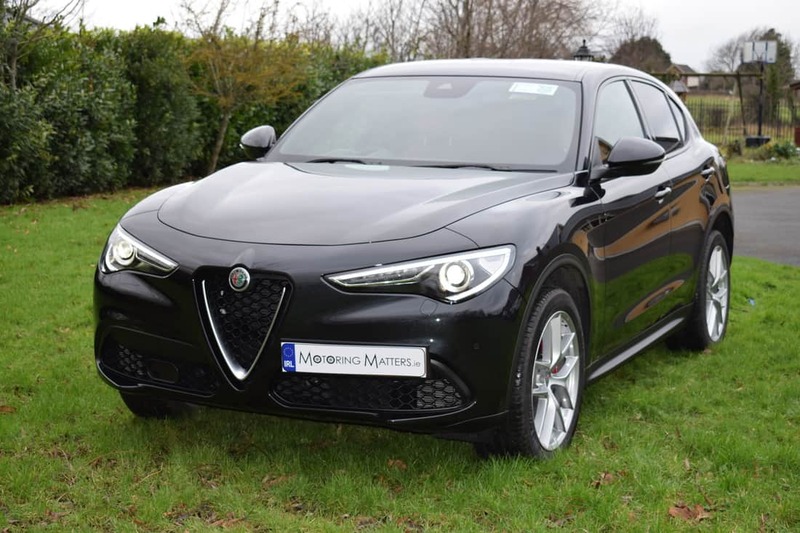 The diesel engine is sure to account for a huge slice of Stelvio sales in Ireland, thanks to its acclaimed frugality for this type of vehicle. 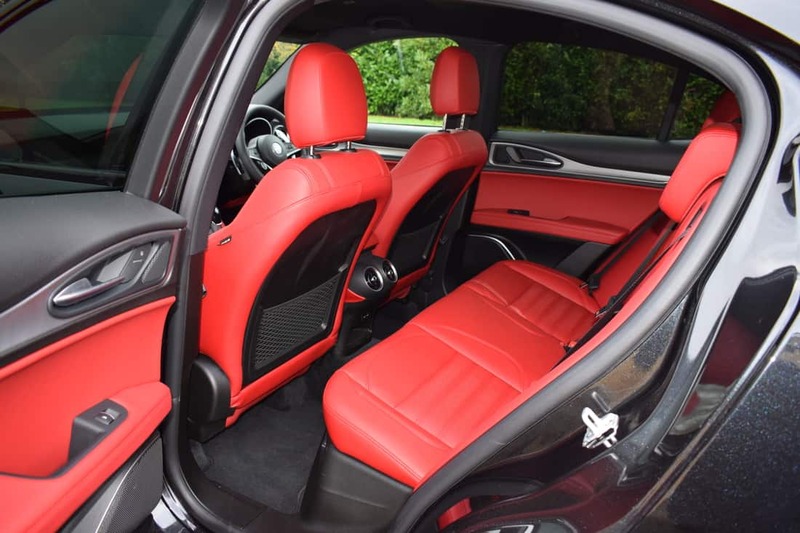 My test car was a Stelvio Milano Editione 4WD Auto 2.0-litre turbo-petrol with 280bhp and looked fantastic in Vulcano Black metallic paint with contrasting red ‘Veloce’ sports leather interior with red perforated inserts in the seats for a truly dramatic visual impact. This characterful engine produces a throaty roar when the ‘DNA’ driving mode dial is set to ‘D’ (dynamic). Other options are ‘N’ for natural or ‘A’ for advanced efficiency. The 0-100km/h sprint can be completed in an astonishingly quick 5.7-seconds and Co2 emissions of 161g/km leads to annual road tax of €570. 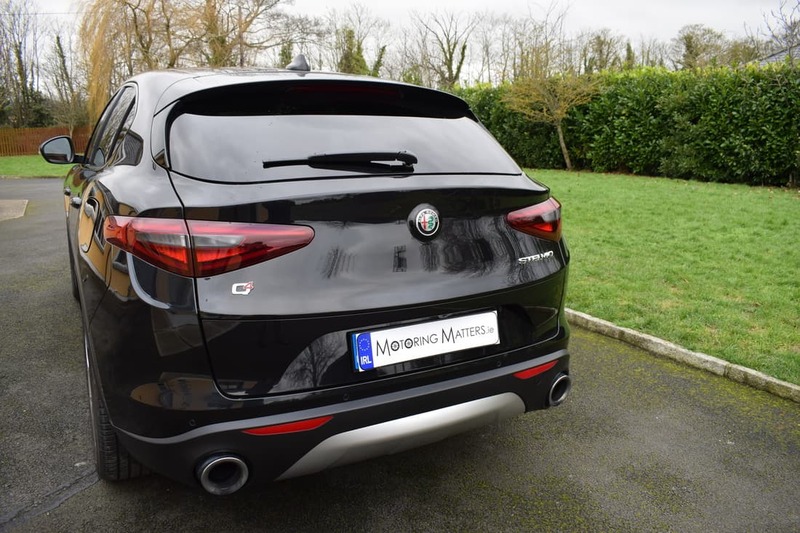 As is the norm with turbo-charged petrol engines fitted in a large SUV body, real-world fuel economy figures fail to impress, but Alfa Romeo claim that 40.4mpg is possible to achieve on an extra-urban driving cycle. My week-long test drive on a mixture of roads failed to produce anything near this claimed figure, but longer motorway journeys would yield much better results. 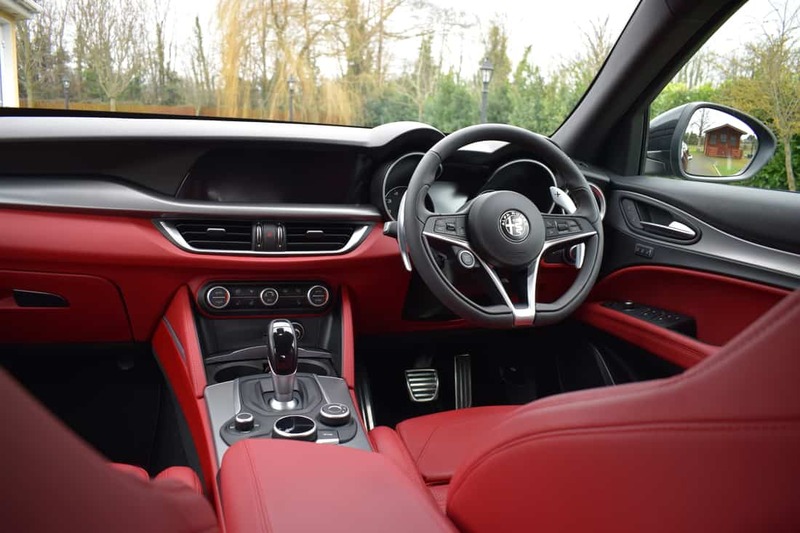 The Stelvio features a really attractive and smart interior – similar to its Giulia sibling. The cabin successfully mixes modern technology with Italian flair and iconic design cues from past Alfa Romeo models. 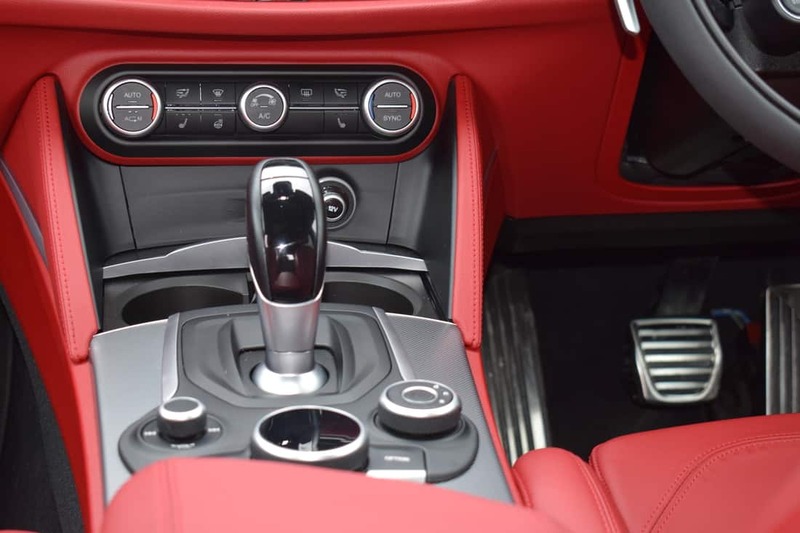 The dashboard design is taken straight from the Giulia, with the only exception being the steering angle and certain other parts adapted for an SUV. So that means a really minimalist design that’s angled towards the driver. The driving position itself is excellent, too. Alfa Romeo has chosen to go for an infotainment system that sits within the dash as opposed to being located on top. For total reassurance, the new Stelvio has achieved a full 5-star NCAP safety rating. 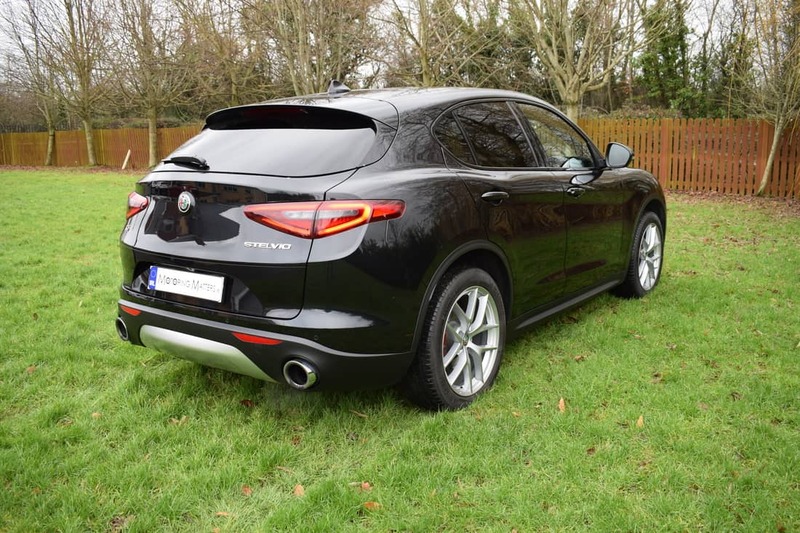 It’s clear that Alfa Romeo designed the Stelvio to be the ‘sports car’ of the family SUV world and this is obvious as soon as a driver takes a seat behind the sports steering wheel and presses the steering-wheel mounted engine start/stop button. I look forward to reviewing the Stelvio in diesel guise in order to achieve the best fuel economy from Alfa Romeo’s new SUV star. Prices start at €47,295.